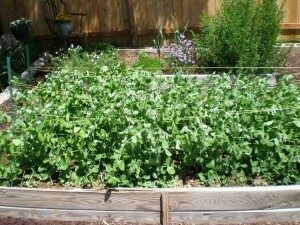 I think everyone can agree that the temperamental Utah weather has really taken a toll on our gardens. Here’s how our gardeners are doing despite the setbacks. Chelsea (Classic Garden): So far my garden isn’t very impressive. The only produce that I would say is really thriving are the onions since they are a cool weather plant anyway. Our squash were on the recovery from the cold snap, but the peppers, cucumbers, and tomatoes don’t look so good. I am actually considering starting over if things don’t improve soon. 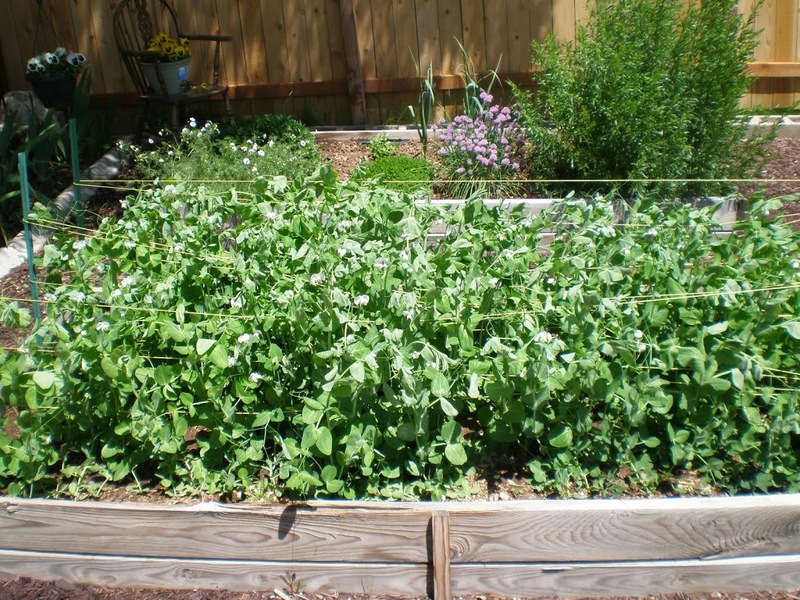 AnaLee (planter boxes) – Our herbs are getting taller every day, and are really doing well this year. 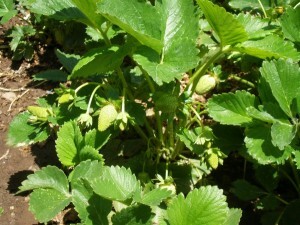 Our strawberries are blossoming and should have ripe fruit in a few more weeks. Watering is going well, but sometimes I worry my planters don’t get enough sun, since they are along a fence, overshadowed by a large willow tree. 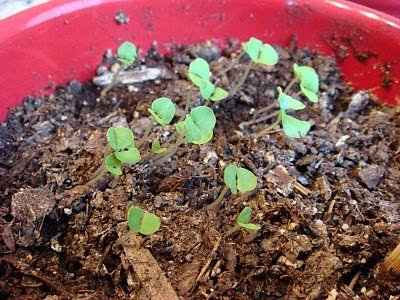 Paige (Containers): So I got a little excited and started my garden too early for Utah’s ever changing weather. I had plants die and go into hibernation. 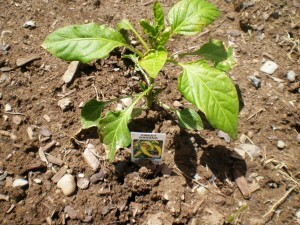 Now the weather is finally warming up and I replanted a few things and they have just flourished. My gardening tip – don’t get too excited and plant too early…the plants don’t like it! My tomatoes are looking healthy and grow everyday. My herbs have just shot up and are looking so good! I can’t wait to use them! One other mistake I made with them was over-watering. I got too excited and tried to water them everyday. As soon as I waited to water until the soil was dry (like the directions said!) they grew! 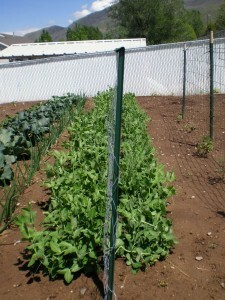 Janae (Trellises): The cool weather vegetables are looking great. I am doing a good job keeping the weeds down, which will be helpful as the warm weather plants start to sprout. 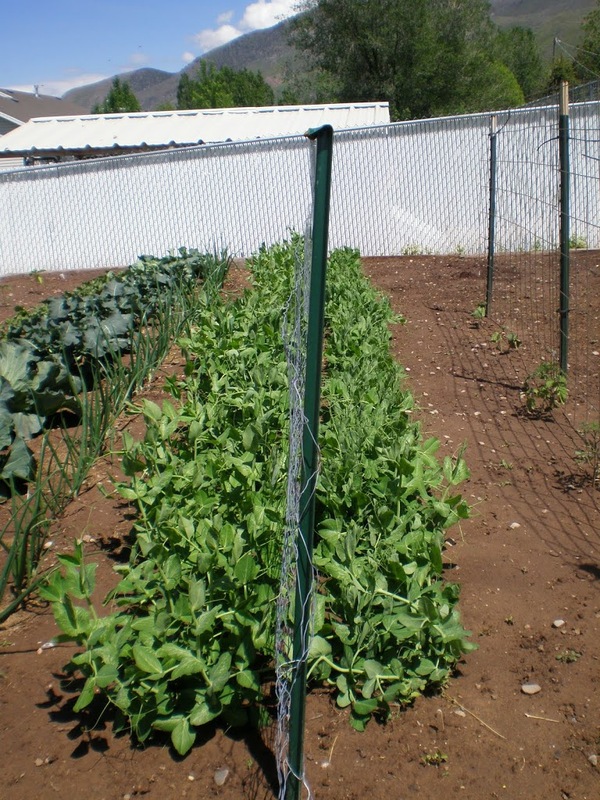 I have my trellises up for my beans and tomatoes, and so far everything looks to be right on track.